They say results don't lie, and if you want to know the best at the end of the season you simply look at the results. Right now, that means Ferrari and Mercedes are the best teams in Formula 1. But after Mercedes' difficulties at the start of the season, losing two races it should have won, you have to ask whether such a well-resourced and set up team should be making those sorts of errors. You could also say Ferrari is now alone as the best, having won two out of two, but even then there are some reservations. 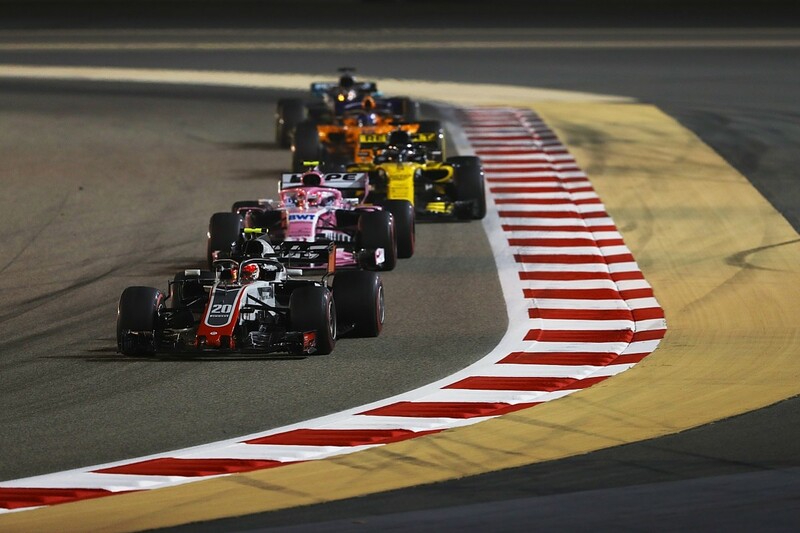 Sometimes you have to look further down the grid and take into account other factors to decide who is the best, as the Bahrain Grand Prix demonstrated. The old problems Mercedes has had with the softer tyre compounds seemed to return on the Bahrain weekend, particularly in qualifying. It was that problem that left its cars third and fourth on Saturday, and meant Mercedes was playing track position catch up on Sunday when the car was quick, because once the tyres lose that initial bite, things equal out. 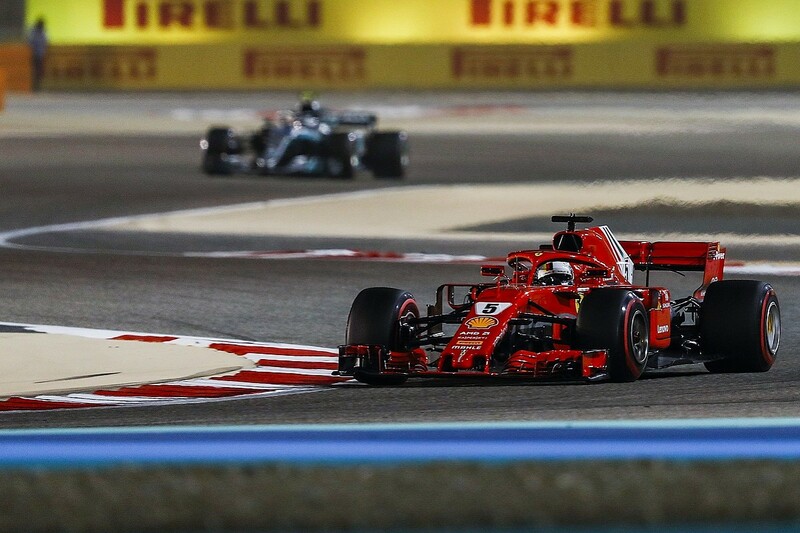 During pre-season testing, many comments were made about how Lewis Hamilton could pivot the car around its front end, whereas the Ferrari would just run wide when the drivers tried to find that little bit of extra corner speed. I think this is why, in Melbourne, the Mercedes was a rocketship in qualifying - that was a front-end requirement circuit and Ferrari was lacking in that area. In Bahrain, things flipped around. When the Mercedes is pivoting around the front end, it is overheating the rear tyres and then suffers from a traction deficit - a big problem at this circuit. The Ferrari still carries that bit of understeer, but crucially this protects the rears. I said during pre-season testing, when the Mercedes did the majority of its running on the medium tyres, that it might rue the day that more time wasn't spent working on the softer compounds. Doubly so given Mercedes knew the tyre balance at the softer end of the range was a problem last year. You can see this up and down the grid in terms of the performance swings. It's not as though any car has armfuls of understeer or massive traction problems, it's fine margins that are dictated by the inherent DNA of the car's layout. One tenth lost here for one chassis and another tenth gained for another gives a crucial performance swing, particularly in the midfield. Long may it continue. And then we had McLaren, outqualified by all of the Renault-powered cars save for Max Verstappen, who crashed in Q1. Humiliatingly for McLaren, both Toro Rossos were ahead - using the same Honda engines McLaren rejected for 2018 at a huge cost. And all this in what Fernando Alonso once claimed was the best chassis. So what's really gone wrong there? It's probably quite simple in that the team believed its own hype for far too long. 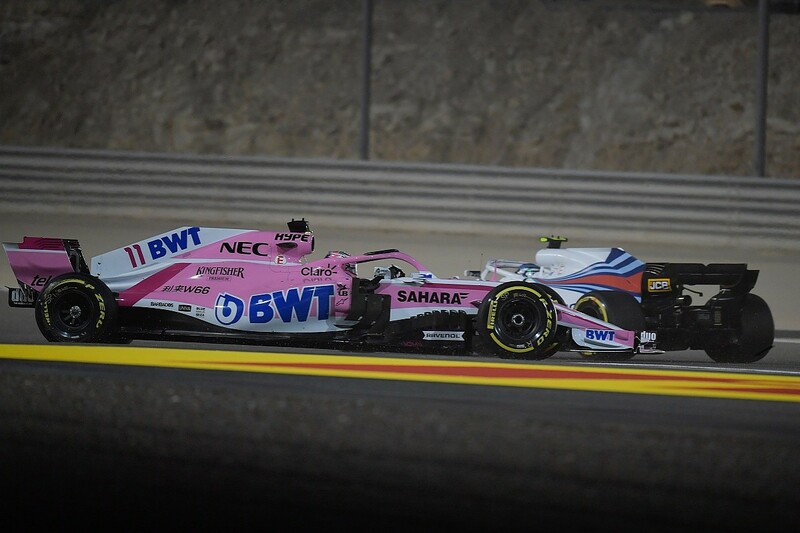 The car looked pretty decent in pre-season, but I think we can now assume that it did a lot of its testing on low fuel, which always makes a car look lively and responsive. But that just clouds the visibility of the inherent issues that most cars will have. To fix it, first you need to recognise it. That's what pre-season testing is all about. 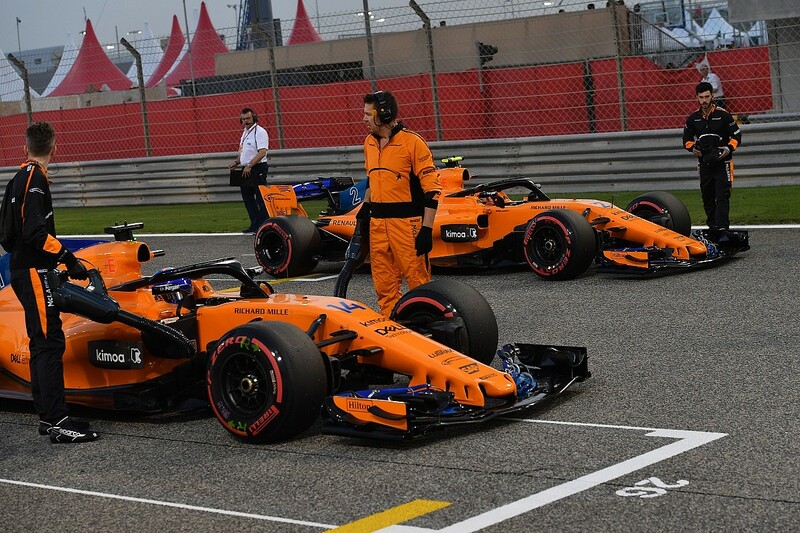 McLaren did score points with both cars in Australia and Bahrain and points are what matters - holding third in the constructors' championship is a decent achievement but the car is nowhere near good enough to stay there. To challenge for podiums, you need out and out performance and, at minimum, you need to be mixing it with the top six. For wins, you need to be knocking on the door of the front row, otherwise you are relying on luck, and advantageous circumstances don't come around very often. Just look how few and far between Red Bull's race wins have been since 2014. Toro Rosso, by finishing fourth, wasn't far off a podium, but that's with three of the top six cars out of the equation. The gap to being in the top six on merit is huge. But you have to hand it to the former Minardi team, which excelled on a day when the main Red Bull team lost both cars early on. 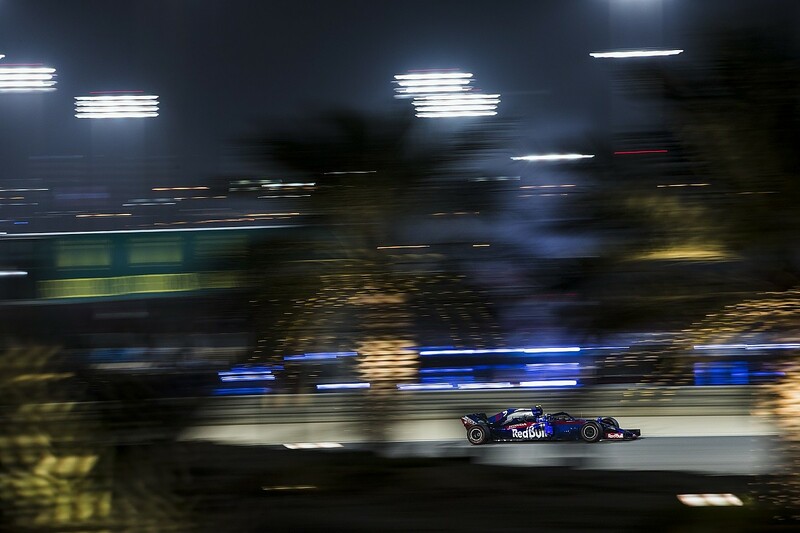 Using Honda engines and with a young star in Pierre Gasly, who turned in the drive of the day, Toro Rosso delivered a result McLaren couldn't in three seasons with Honda. Red Bull will be keeping a very close eye on progress with that engine package. Qualifying sixth, starting fifth because of penalties and finishing fourth just shows what this small, tight-budgeted team can do. It took on the Honda engine package that McLaren dismissed, and by working together has shown what working as one can achieve. Its Bahrain challenge really went out the window on Saturday. Third and fourth in qualifying with Hamilton getting a five-place gearbox penalty shows this wasn't its best weekend. The speed wasn't really there and the gearbox durability is questionable. Marcus Ericsson drove a good race and the team took a gamble on strategy that worked out, netting it a couple of very valuable points. 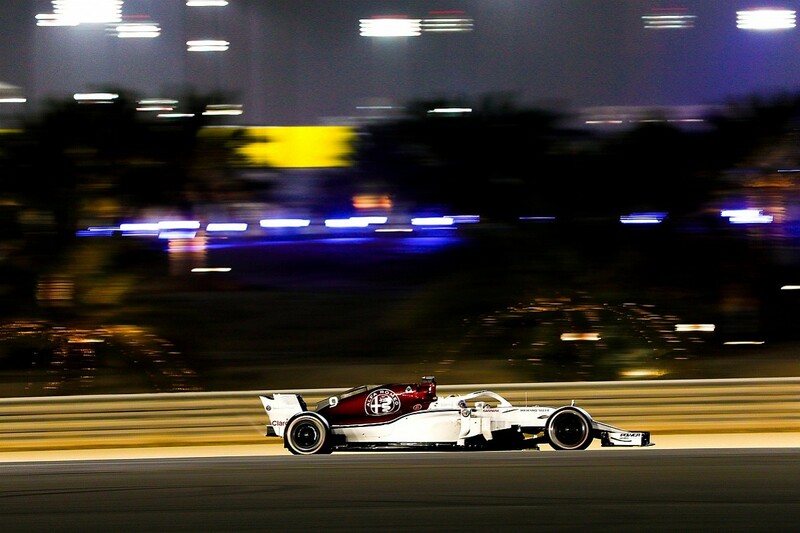 If Sauber keeps improving as it has done so far this year, it will be right in that midfield fight soon. It was a bit of an up-and-down weekend for Haas and I don't really know where it stands. It is clearly in fairly good shape, but if there is ever an opportunity for its drivers to get involved in a skirmish it seems to manage to get right in there. Perhaps when it all settles down, it will begin to flow a little easier for the team. Sometimes, when a small team is doing well it is easy to get overexcited. You might ask why Ferrari is way down here when it won the race and locked out the front row. Well, this is a team sport and Ferrari first sent the car out with a loose wheel during practice and earned a fine. In the race, it screwed up another pitstop, resulting in a mechanic getting run over and breaking his leg. For a team to win the constructors' championship, you need two cars finishing every weekend. Ferrari needs to do this to ensure the good work it is doing doesn't go to waste. A bit hit and miss over these first two races. The speed is not far away and Nico Hulkenberg gets the best out of it on most occasions, but now Honda looks from this one race that it is just about as good as the Renault engine things might just start to get that bit tougher. Its pre-season was compromised by reliability problems, so I suppose we should cut McLaren a bit of slack for that. But all its problems have been self-inflicted. The car is definitely better on a Sunday than it is on a Saturday so that just shows the team is not getting the best from new tyres in qualifying. At the moment, it is a mere shadow of what it was over the last two seasons. Force India never really had the out-and-out pace but its racecraft and tyre usage made up for that. But currently, it is struggling a bit with both. That midfield battle is tough but when the going gets tough the tough get going so it's all in the team's hands. Fortunately, it does seem to have finally got a handle on the package, so let's see if it can build on that in China. These guys are supposed to be championship challengers, and if what we saw on Sunday was it offering up that challenge then there is a long way to go. If Red Bull continues like this, then both drivers will get very frustrated very quickly. The last two cars still running at the flag, and as Williams uses the Mercedes engine this doesn't bode well. It has got itself into this position and the technical team will be scratching their collective heads as to whether it is the drivers or the chassis. I suggest a bit of both, but to have inexperienced drivers driving a poor chassis makes it doubly difficult to recover. In Bahrain we also heard about Liberty Media's new proposals to fix F1. Or rather, it issued a very short summary of what has been proposed. I wish I had £10,000 for every time I have heard a proposal that includes regulations to make racing better, cost cutting, budget control, equalisation of the prize fund, noisier and cheaper engines and Saturday qualifying races. It's like listening to an old recording time and time again. And then, on top of that, the FIA proposes having a larger section rear wing flap that makes the DRS work better. Please listen to your customers - the enthusiast and viewer. After all the fan surveys that have been done no-one, including even the people involved in F1, want DRS overtaking. We only want cars racing closely together and hopefully that would lead to the odd overtaking manoeuvre. We don't want it every lap and we don't want a drive-by manoeuvre, just close racing. The interesting thing is that F1 puts these proposals together, but there is never enough contact with the written or televised media and the outside world as to what they see as the problem. I'm not talking about me, but there are a lot of media people out there that would love to be able to write or talk about how good F1 is but none of the powers that be bother to ask them what will make that possible. Instead, they just put together another group to research potential changes that some, if not all of the teams, will reject in one way or another - or the plans just won't work anyway. Remember when the overtaking problem was supposed to be solved for 2009 by proposals put forward by the Overtaking Working Group? I said at the time that a first-year aerodynamic student would have seen through the naivety of that proposal in a very short amount of time, and I was proved correct. Hopefully, it won't be the same when we see the 2021 proposals. If they ever show us - the customer. But there was one thing that was encouraging about the Bahrain GP, and what we've seen so far, hopefully for the rest of the season. The midfield pack is extremely tight, and if you ignore the big three teams we have 'class' wins for McLaren and Toro Rosso from the first two races. Perhaps if F1 can make that the front font of the field, we could have exactly what we're looking for. And given how well Toro Rosso has done, that might change everyone's perception of who the best team really is.